Bernhard Fabianek joined the European Commission, Brussels, Belgium, in 1996. At the Information Society and Media Directorate-General he worked in the areas of photonic technologies, high-speed networking, GÉANT and e-Infrastructures. His responsibilities included the supervision of industrial research on IPv6, the coordination of support to the GÉANT communication infrastructure fostering the establishment of the world leading European research network and its global partners. The Global Virtual Research Communities concept was developed and implemented under his leadership. He was responsible for the area of High Performance Computing – the PRACE initiative - facilitating the creation of a pan-European high performance computing infrastructure. 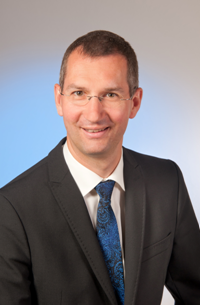 He has been the principal author of the Communication to the Council and European Parliament "High-Performance Computing: Europe's place in a global race" (COM(2012) 45). Since 2012 he is with the Research and Innovation Directorate-General of the European Commission. He is responsible for the relationship with Structural and Investment Funds and follows the developments in the area of Physical Sciences and Engineering.